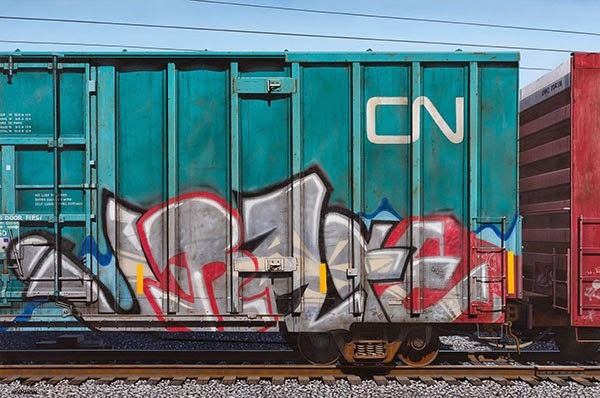 Photorealistic paintings of freight trains sitting idle and covered with graffiti, or speeding through the tracks that plays with focus and the passage of time. 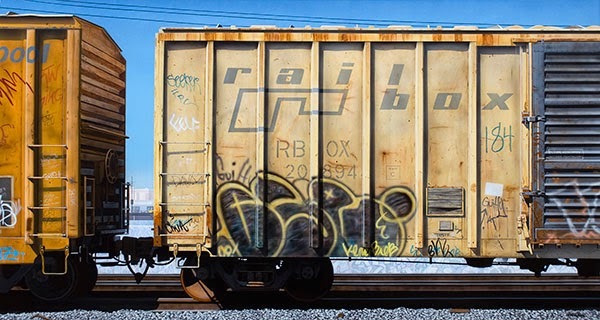 The rail yard, for me, is where my work begins; there's a whole process involved in getting to the tracks. I think creatively it adds a certain level of thrill—being somewhere I am not supposed to be and discovering a beautiful world within this forbidden place, so to speak. 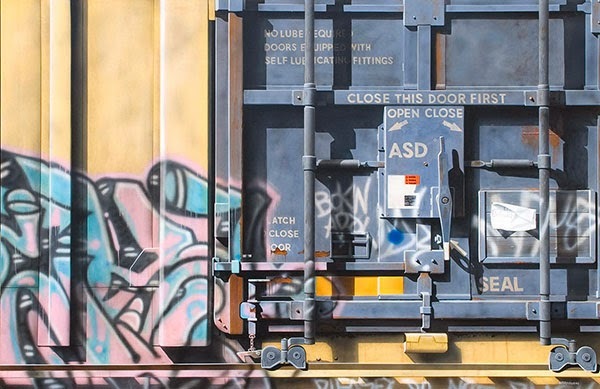 On view at Bernaducci Meisel Gallery Sept. 4 – 27.